Boko Haram emerged in 2002 in Maiduguri, the capital of Borno State in Nigeria’s Northeast Region. Initially organized as a sect under the leadership of Salafist scholar, Mohammed Yusuf, the group, while critical of the government, was largely peaceful. Drawing on a legacy of radical Islamist ideology, Yusuf promoted a more stringent adherence to Sharia Law in Nigeria’s northern states. Only this, he argued, would deliver the largely Muslim northern states from the longstanding grievances they faced. Under Yusuf’s leadership, Boko Haram concentrated its energy on mobilizing protest against government neglect especially among unemployed Muslim youth. It also created a “state within a state” and among its many practices included “Hijra” – a call to individuals to sever their connections to the government and realize religious purity within predefined and isolated communities. Reflecting this strategy, Boko Haram had its own cabinet, religious police, religious complex, school, and a large farm for food production. It also carried out “state-like” functions such as providing welfare, job training, and alternative education. Why Did Boko Haram Turn from a Non-violent Movement to an Armed Insurgency? As Boko Haram continued to grow, clashes with police became frequent and the federal government, which had long ignored it, began to take notice. The group became increasingly violent, so much so that by 2008 it had begun to store small arms in its central offices in Bauchi state and Maiduguri. There were also episodic attacks, drive-by shootings, and a refusal by Boko Haram members to obey local laws. The tipping point came in July 2009 when a violent encounter with police triggered five days of riots in Bauchi, later spreading to Borno, Yobe and Kano states. These ended after Yusuf was captured and killed in police custody. Boko Haram thereafter decidedly abandoned its self-ascribed proselytizing mission. It went underground, regrouped, and reemerged 18 months later as an armed insurgency. Its current leader, Abubakar Shekau, is far more violent than Yusuf. According to the Armed Conflict Location and Event Dataset, Boko Haram was responsible for nearly half of all civilian deaths in African war zones in 2014 alone. The government’s heavy-handed response, which resulted in numerous civilian deaths, intensified the insurgency. This, together with high rates of northern youth unemployment, sharp socioeconomic inequalities between the North and South, and endemic corruption, further propelled Boko Haram recruitment. 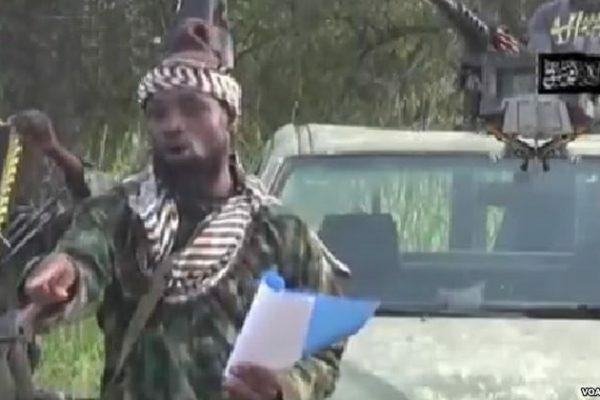 Boko Haram declares that it wants to overthrow the Nigerian government and replace it with an Islamic state. It similarly wants to expel the northern political and Muslim clerical establishments and rid Nigeria of all Western influences. Although these goals have remained constant, the preferred strategy for achieving them has shifted. Boko Haram under Yusuf was initially highly localized and believed that its “parallel state” would gradually replace the federal government and address Nigeria’s ills. By contrast, under Abubakar Shekau, Boko Haram has looked beyond Nigeria and aligned itself to the global Jihadi movement. This is evident in its methods, which include the use of suicide bombers, improvised explosive devices, vehicle-borne improvised explosive devices, and beheadings. These tactics, which have escalated since 2013, were hitherto foreign to Nigeria’s insurgents and were not employed by Boko Haram before 2010. The group, similarly, expanded its networking with foreign terrorists such as Al Shabaab and Al Qaeda in the Islamic Maghreb. Finally, it embraced the global Jihadi movement’s rhetoric against the “far enemy” such as encouraging attacks against Western targets outside of Nigeria. In August 2014 Boko Haram declared a Caliphate over areas under its control stating, “We are in an Islamic Caliphate … we have nothing whatsoever to do with Nigeria.” This matched a shift in tactics from guerrilla-style attacks to the strategic seizure and holding of territory. The borders of its declared Caliphate correspond almost precisely to the former borders of the Borno Caliphate, an attempt to tap into Muslim revivalism using this once powerful empire as a reference point. Boko Haram’s declaration of loyalty to the Islamic State of Iraq and Syria (ISIS) further underscores Boko Haram’s affinity for recreating a Caliphate. Boko Haram also declared an interest in administering the territories it controlled. When the group captured the town of Mubi in Adamawa state in November 2014, renaming it Madinatul Islam (the City of Islam), it urged residents not to flee, ordered the reopening of shops and instructed its fighters to pay for goods. In practice, however, there is little indication that Boko Haram demonstrated a strong will or ability to govern effectively. Now facing territorial losses in the face of a multinational military offensive, it remains to be seen how Boko Haram will alter its claim of a Caliphate. 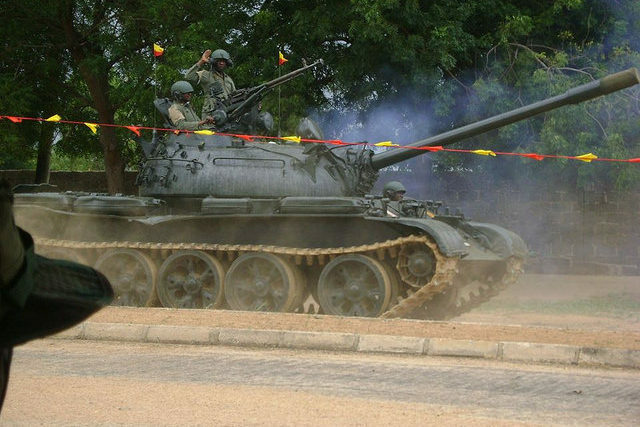 How is the African Military Coalition Faring against Boko Haram? Nigeria’s military response to the Boko Haram escalation from 2012-2014 had minimal effects. Boko Haram’s territorial expansion continued and by the end of 2014, the group controlled 25 towns in the three northeastern states of Borno, Yobe and Adamawa (about the size of Belgium). Maiduguri, with a population of 2 million people, was under attack. In January, the African Union authorized the creation of a Multinational Joint Force bringing together forces from Chad, Cameroon, Niger, Nigeria, and Benin, to conduct joint operations against Boko Haram. Even before the force was authorized, however, Chad was already in action against the group under a separate bilateral military agreement. Landlocked and alarmed by the closure of key trade routes running through Boko Haram’s territory, Chad had a strong incentive to intervene and its forces quickly shifted the military balance away from Boko Haram. While the multinational effort has made decisive gains, the initiative is marked by tensions and minimal coordination between the partners. After Chadian forces recaptured the strategic town of Damasak in early March, President Idris Déby complained that days after the town was retaken Nigerian forces had not arrived to receive it. “We are not an army of occupation … by now we should have handed the town to Nigeria and continued advancing” he said in an interview. These difficulties notwithstanding, Boko Haram, has been pushed out of all but a handful of territories, reflecting the group’s weakness relative to sustained military pressure. For these multinational military gains to translate into genuine stability, however, offensive operations must be supported by a robust and trusted Nigerian security and governance presence, community engagement, educational opportunities, and development. Otherwise, history suggests, the grievances that have spurred violent radical movements in northern Nigeria will again take root. The next article in this series takes a closer look at strategies for combating extremism in Nigeria. Christine Mungai, “Boko Haram’s new change in tactics and what it has in common with the Protestant Reformation,” Mail and Guardian, November 16, 2014. Afeed Olufemi Salam, “The psychological make-up of Mohammed Yusuf,” E-International Relations, November 4, 2013. O.A., “Why Nigeria has not yet defeated Boko Haram,” The Economist Report, November 19, 2014. Ali A Mazrui, “Nigeria: From the Sharia Movement to Boko Haram,” Al Arabiya News, June 19, 2002. Monica Marc, “Qaqa: We’ll bring the Nigerian Government to its Knees,” This Day Live, February 2, 2012. Davin O’Regan, “The Geography of Boko Haram: More Deadly but More Remote,” International Relations and Security Network, February 15, 2015.